A third major Online Travel Agent has opened up shop in Australia, with Trip.com joining the hotel and travel booking fracas already heavily contested by Expedia and Priceline Group. The Shanghai-based Trip.com is owned by CTrip and is an established leader in Asia’s online travel booking universe. Since its formation in 1999, it has grown to be the largest facilitator of online bookings in China, processing one in every four transactions. Across its network of companies, the most recent Ctrip accounts revealed the company earned RMB 31 billion in 2017 (AUD$6.5 billion). Australia is the fifth international market entered by Trip.com in the last year. The company specialises in flights, hotels, rail tickets, car hire, airport transfers, day tours and attraction tickets and offers portals on desktop computers, tablets and smartphones via its app. Trip.com this week hosted its launch event in Sydney, inviting 60 members of the Australian travel industry to Hacienda Bar at Sydney’s Circular Quay. Introducing the company at a launch event in Sydney this week, Trip.com Head of Marketing, Joanna Heggie said Trip.com was still a very young OTA compared to its major global competitors. 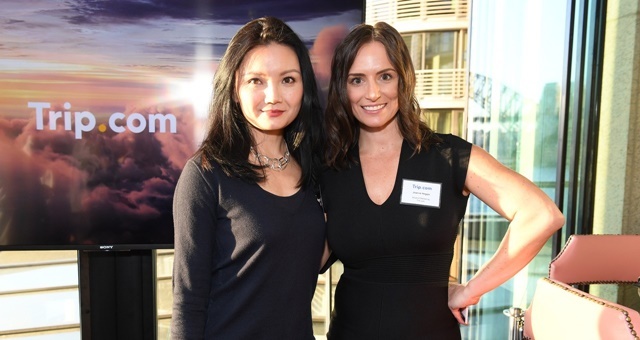 “We are looking forward to learning more about Australian travellers and how we can continue to innovate our product offerings to cater to their needs,” said Trip.com Global Vice President of Product & Marketing, Lynn Qu.